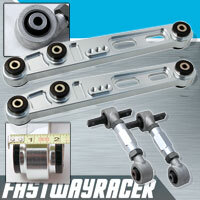 Brand new adjustable front upper control camber arm kit. 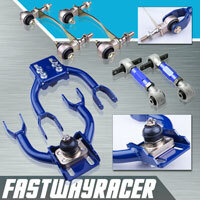 It is made of high quality forged alloy steel. We offer 6 months warranty. 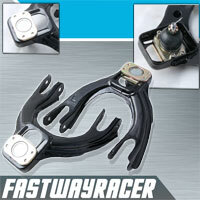 It is direct bolt on without any modification. It is light weight, durable performance. 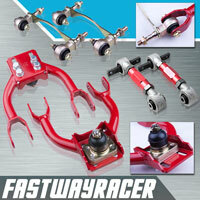 When you lowering your vehicle, these eliminates premature tire wear while improving handling and stability. 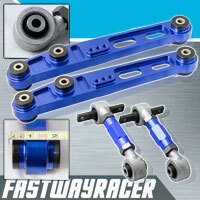 This front upper control camber arm can be adjustable to find tune your vehicle handling in the front without removing from the vehicle. It is easy to access turnbuckle style adjustment.